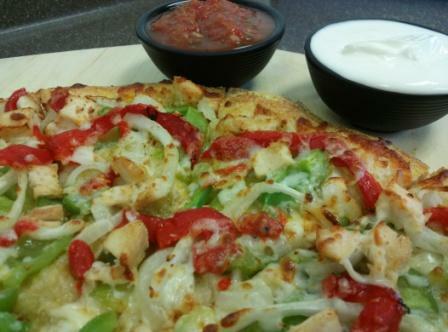 New Chicken Fajita Pizza! 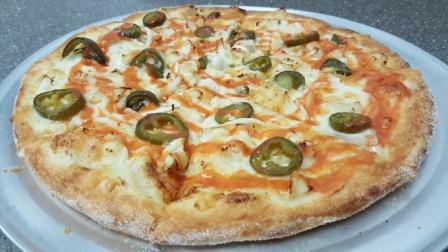 Fresh green peppers, onions, roasted red peppers, cheese and breast of chicken served with a side of sour cream and Sriracha Salsa (made locally by Penny Salsa in Auburn). Delicious! Fresh Basil Leaves, Diced Tomatoes, Light Mozzarella and Olive Oil. For an extra zing of flavor, try topping it with our Balsamic Glaze. 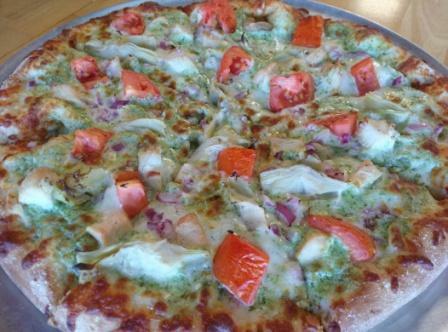 Fresh Spinach, Green Peppers, Diced Tomatoes, Diced Red Onions, Feta, Kalamata Olives, Mozzarella and Red Pizza Sauce. For an extra zing of flavor, try topping it with our Balsamic Glaze. 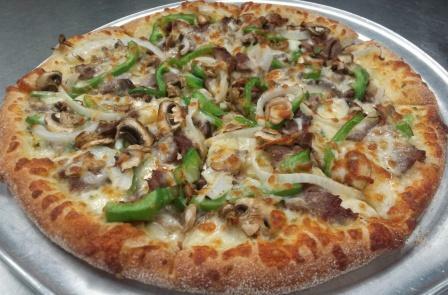 Fresh Spinach, Green Peppers, White Onions, Fresh Mushrooms, Black Olives, Diced Tomatoes, Mozzarella and Red Pizza Sauce. For an extra zing of flavor, try topping it with our Balsamic Glaze.